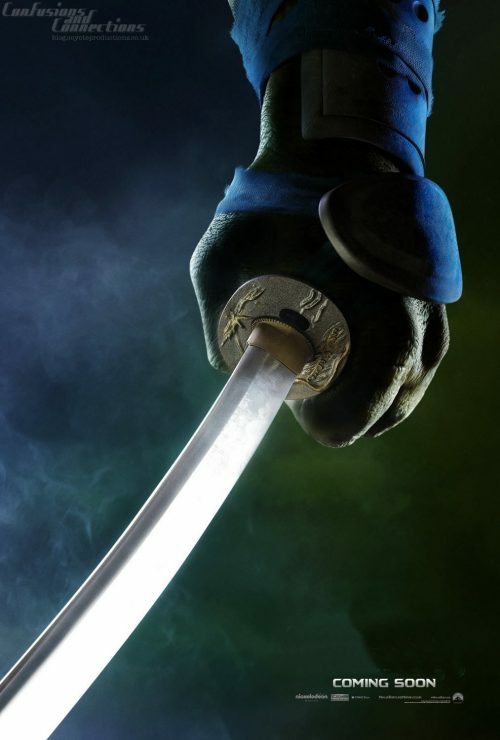 Some new, exciting, content from the upcoming reboot of the Teenage Mutant Ninja Turtles film. It’s a simple set of four posters. It’s for the turtles themselves. They are simple but still immediately recognisable as what film they are for. 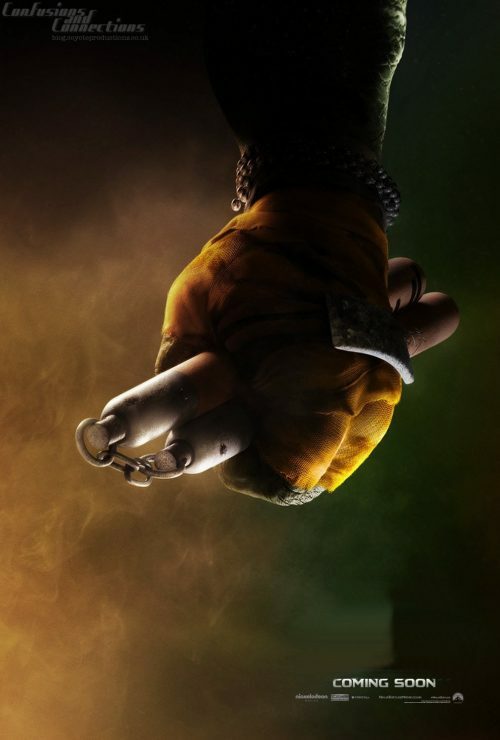 All we see is the turtle’s weapons and a hand holding it. You don’t even need that for people to know what the film is or the characters are. I’m going to prove how iconic the poses are by removing the actual name of the film to prove it as well as posting them to a social media website and ask the question, What film are these posters advertising. It’s a no-brainier that everyone should give me the correct answer. Some of the photo-shopping isn’t the best but I did do it on a netbook on a train using the trackpad. That’s my excuse & I’m sticking to it! 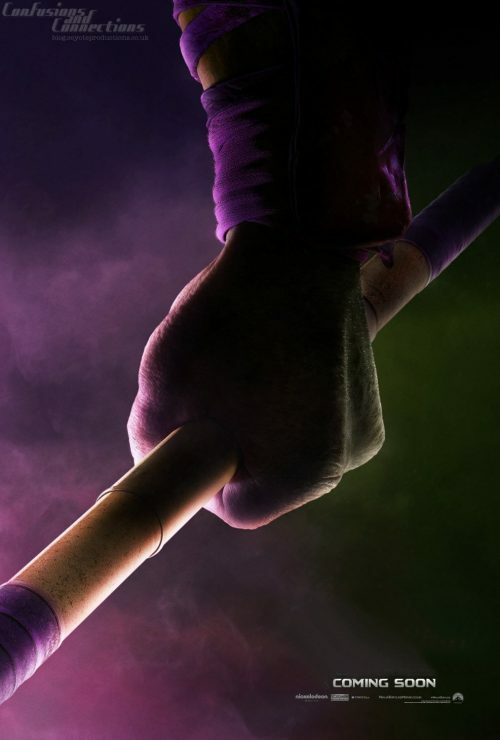 Donatello, Leonardo, Michelangelo & Raphael gets their own posters. 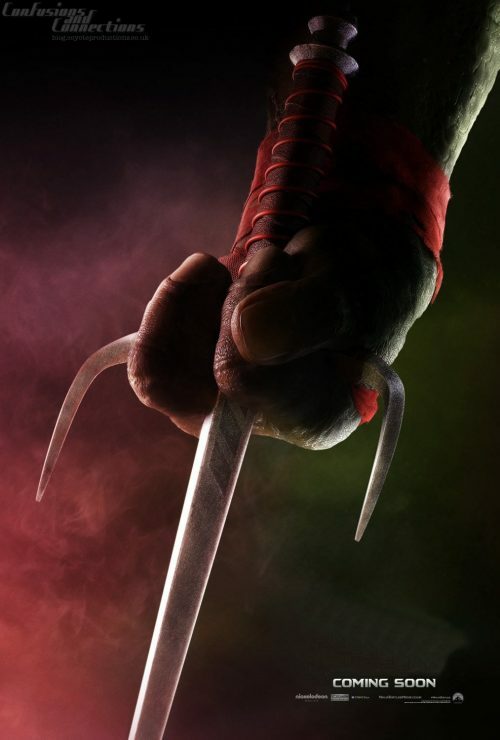 We haven’t seem Master Splinter, April O’Neil or Shredder yet but that’ll probably appear in the near future.